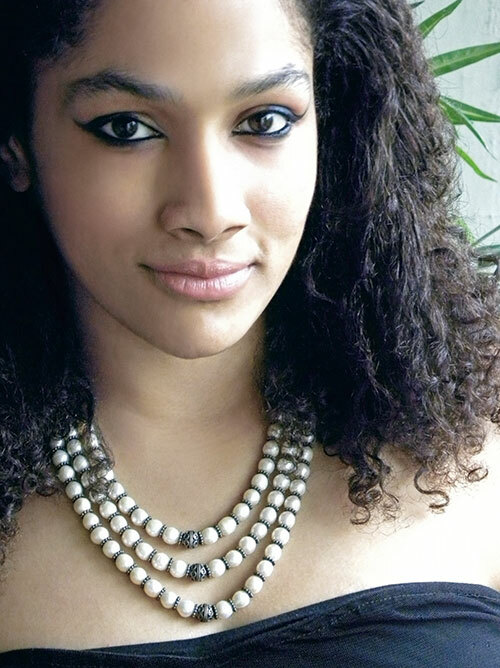 It isn’t every fashion student who can boast of a showing at Lakmé Fashion Week before they have their degrees, but talk to Masaba (‘princess’ in Swahili) Gupta, whose ‘Kattran’ line at the recently-concluded LFW garnered its fair share of attention, and you get the feeling that she was meant to do this. “I studied music in London,” she says. “And until my second year in college I wasn’t sure I wanted to be a designer. Acting was on my mind then! But I won three awards at my annual college fashion show, and then it hit me that I was actually good at this.” Her style inspirations range from the makeshift aesthetic of working-class women, “who make beautiful pieces out of leftover cloth – it’s very inspiring,” to her mother, actor Neena Gupta, who she says “dresses fearlessly.” Fearlessness is on her mind – among the people she considers icons whom she’d love to dress someday, she includes Sonia Gandhi, Arundhati Roy and Barkha Dutt. But so, you perceive, is glamour. She has her eye on designing some day for the likes of starry icons Kangana Ranaut, Shabana Azmi and Sonam Kapoor. Now that would be a sight to see.